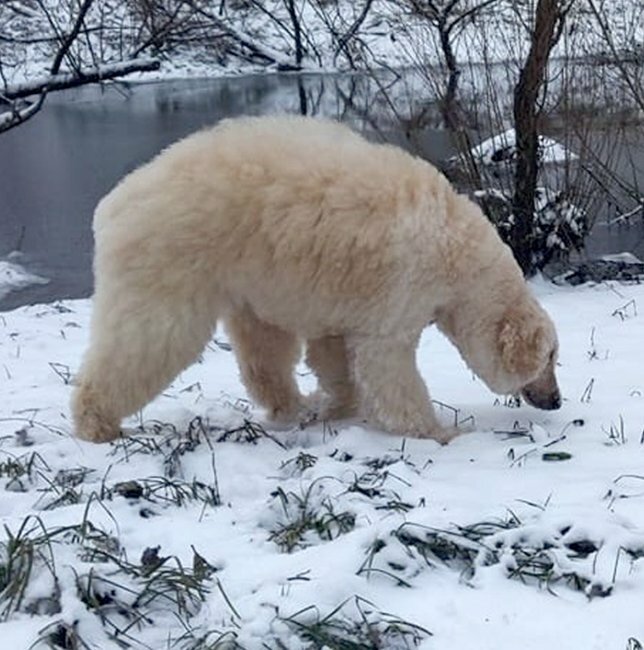 Meet Bijou, the dog who – after some expert grooming – looks like a mini polar bear. 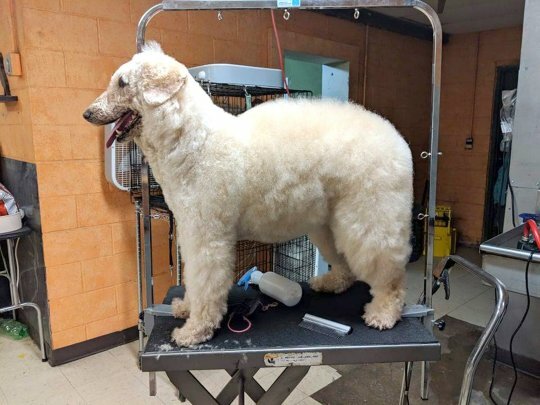 Her look is thanks to owner Rachelle Lynn McGinnis, an expert groomer who dyes and carves her dog’s fur to turn her into a horse, a dragon, and even a peacock. The polar bear transformation is the one that’s caught people’s attention. ‘Someone wrote that they seriously thought they were looking at a picture of a polar bear,’ says Rachelle. ‘It’s amazing how realistic she looks in both the photos and real life. At the moment she looks like a polar bear, and this one requires lots of hairspray. ‘She’s so fluffy that the main part of it is washing and brushing her. 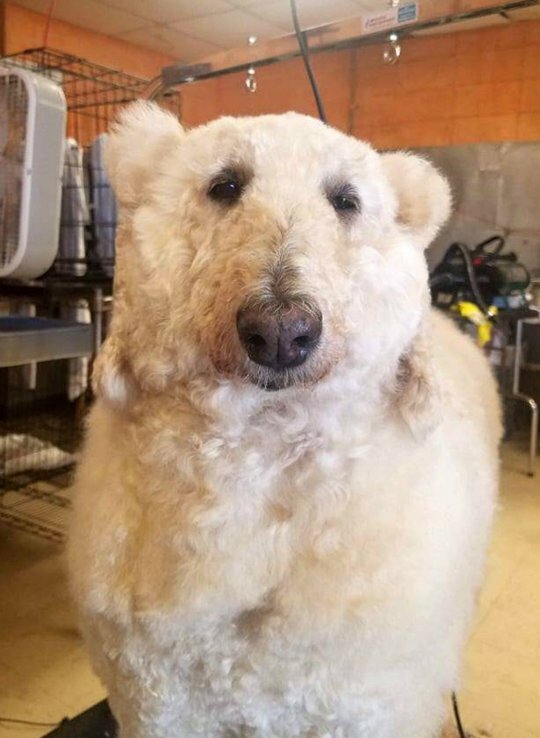 ‘To actually style it, the final part only takes about 30 minutes, but to grow her fur to look like a polar bear took 11 months. ‘It’s something I love doing and I feel like it shows off my creativity. ‘Bijou is colour-blind – she’s not bothered what she looks like as long as she’s healthy, loved and happy. ‘People always ask for pictures – I’ve even had people get out of their car because they want to stroke her. ‘For Bijou, it’s all about the attention – it’s not like she looks in the mirror, she just loves being groomed and stroked. Sorry but only one word needed here SAD. A dog should be a dog not a designer item.